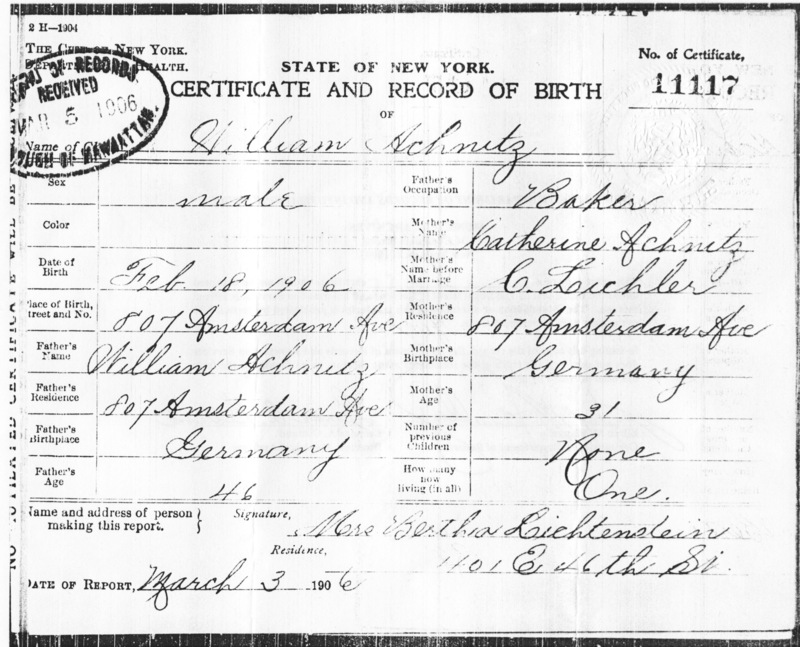 Posted on January 19, 2014 May 24, 2014 by William Achnitz IIIPosted in 52AncestorsTagged 52Ancestors, Ancestry, Family History, Genealogy, German Heritage. Maybe it is of any use for you. I have actually come across that on FamilySearch. 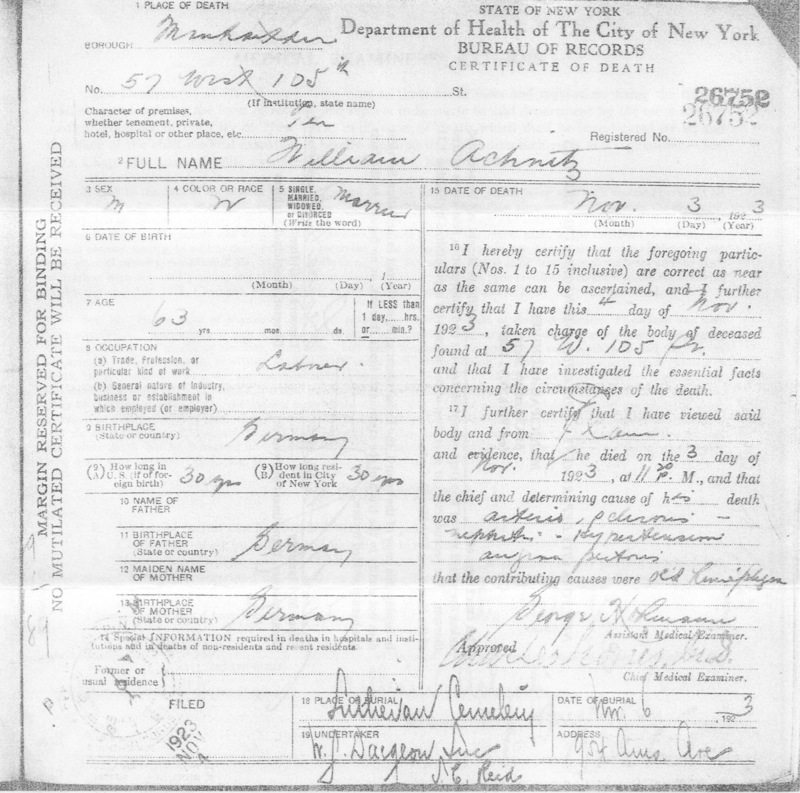 I just wish FamilySearch made the images available online because it would be so much easier. oh yes, that’s right. It would save me a lot of time and travelling around. Thanks Barbara! I’d be interested in anything you find. yes, I do. In Frankfurt, to be exact. But my research area is up north close to Denmark and East in today’s Poland. Very interesting! I’d like to visit Germany one day. 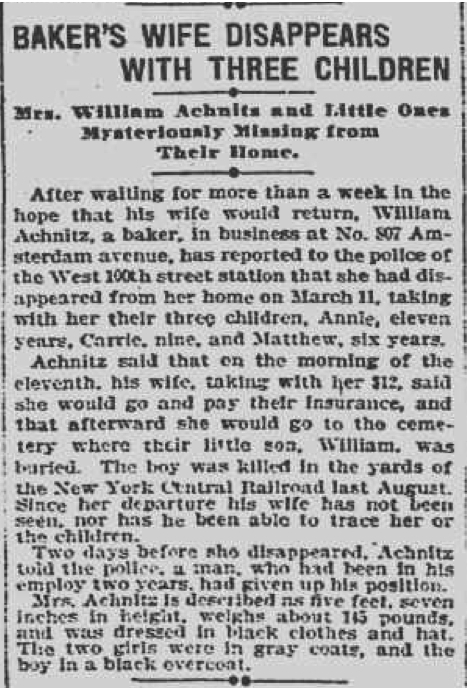 Do you have any tips on getting more information on my Achnitz ancestors in Norvenich? And have you ever heard of Bier Achnitz? Hi William, I have actually never researched in that region and don’t know my way around. But let me take a look what I can find out. Hi William, easy things first. The only thing I could find for “Bier Achnitz” is a merchant selling beer and other beverages. But no real brewery. Was that what you meant? Re/ researching in Nörvenich, one question: your ancestors were lutheranian, right? Many of the records like the one I placed above says Katholisch. That is German for Catholic right? And yes I believe Bier Achnitz is just a distributor of multiple beer brands. I thought it was pretty cool a distant cousin of mine started a beer company though. Bier Achnitz in Siegburg, nahe Köln. Familie Achnitz in Erftstadt. Acht Kilometer von Nörvenich. Hallo! Kennen Sie Michael Achnitz und Caecilia Schumacher wissen? My name is Ingo Achnitz. I can send you the death certificate of Cäcilia Schumacher. May be, that Johann Achnitz, b. 29.11.1850 is my 2nd great-grandfather. I would love to see the death certificate of Cäcilia Schumacher. Do you live in Germany? 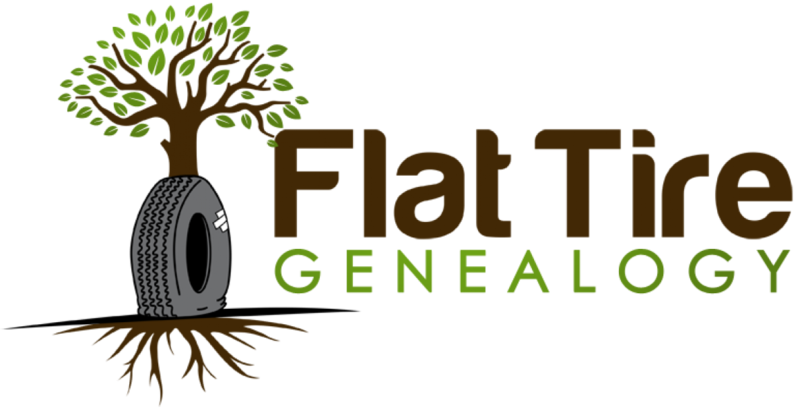 I have just begun my family tree on ancestry. 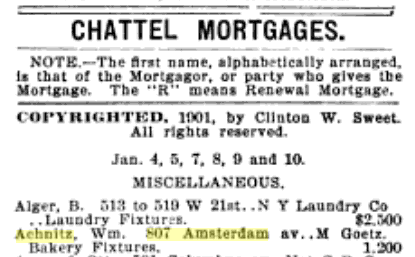 My grandmother always identified herself as Clarisse Meiers (Maiden Name) I always asked her about her real father and why she and her Mom ended up in Australia. She never spoke about him, so we family members never knew his name. 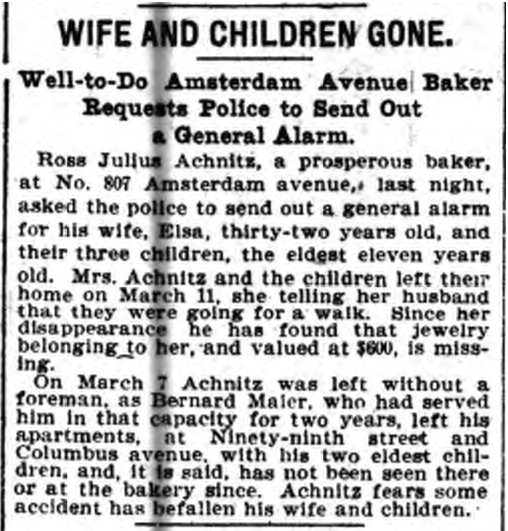 Recently, I discovered the Achnitz connection, the newspaper story about the death of the child some other brief clues and then I found this page which, thanks to you, added to my knowledge. 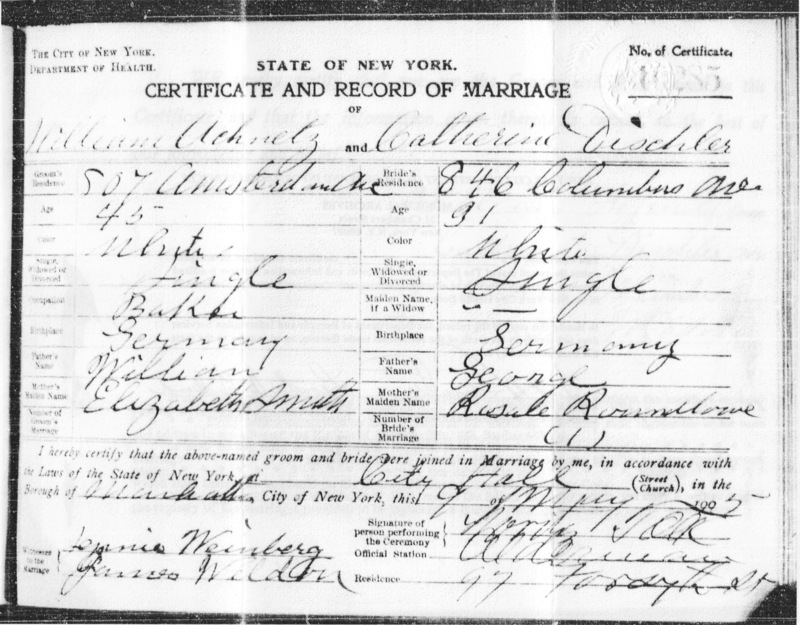 My great-grandmother was your great-grandfather’s first wife! I am also happy to learn the earlier ancestral information you have received. If there is anything you would like to know about our part of the family, which I have just begun to compile, please refer to THE WESTFIELD FAMILY TREE on Ancestry.com. Also, I am available for sharing of information and stories.